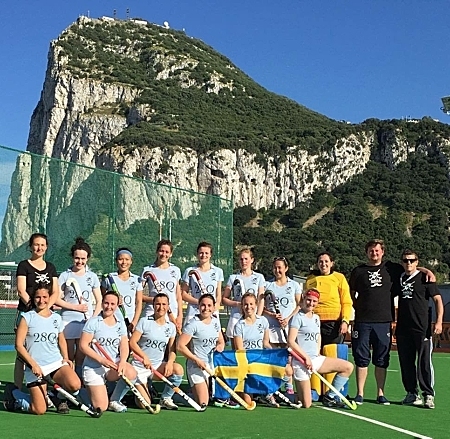 When chemical biology graduate Victoria Marando (pictured) went to Sweden for a co-op placement at the Karolinska Institutet, she never expected she would end up travelling across Europe as a member of a Swedish field hockey team. When Victoria Marando arrived in Stockholm for a co-op placement at the Karolinska Institutet, she never expected that within weeks she would be playing on a Swedish competitive field hockey team – after all, she had never played a game of field hockey in her life. It was an unexpected turn of events, but a unique opportunity and a rich cultural experience, which Marando embraced – giving her the chance to travel throughout Europe, and make lasting friendships. This fall, she begins graduate studies at the Massachusetts Institute of Technology (MIT), the recipient of a full scholarship. It’s the next step in a personal and academic journey that, for Marando, has been about making the most of opportunities, wherever they arise. She says, for her, the Faculty of Science’s co-op program opened up a number of such opportunities. “I didn’t know co-op existed until I came to Mac, but once I found out, I saw it as a chance to get work experience, and also to travel,” says Marando who had always been interested in exploring new places and cultures, and was particularly interested in pursuing a placement in Europe. Through a friend of a friend, she found a position at the Karolinska Institutet – one of the world’s leading medical universities – and was soon in Stockholm at the Helleday Laboratory, working with the medicinal chemistry and cellular biology teams in the lab, helping to develop and test new compounds as potential cancer treatments. “When I first got there, I didn’t know a single person in all of Sweden, and I didn’t speak a word of Swedish, so I was mainly focussing on my work and on getting settled in,” she says. But it wasn’t long before she made friends at the lab, one of which played on a field hockey team –Nacka LHK–and suggested that Marando try out. Victoria Marando (pictured in yellow) with her Nacka LHK team mates. Marando says her experience in Sweden helped her to grow as a person and taught her how to be independent – lessons that would serve her well in her next co-op position at NMX Research and Solutions, a small biotech start-up in Montreal where she took on a very different kind of challenge. Part of a small team of researchers, Marando worked on a number of projects, including one aimed at reducing the side effects of drugs. She also screened compounds to identify which ones were effective in inhibiting the proteins associated with a number of different diseases to find out which of those could be used as starting points for designing new drugs. A few weeks ago, Marando was in Boston, looking for apartments and exploring the campus at MIT. 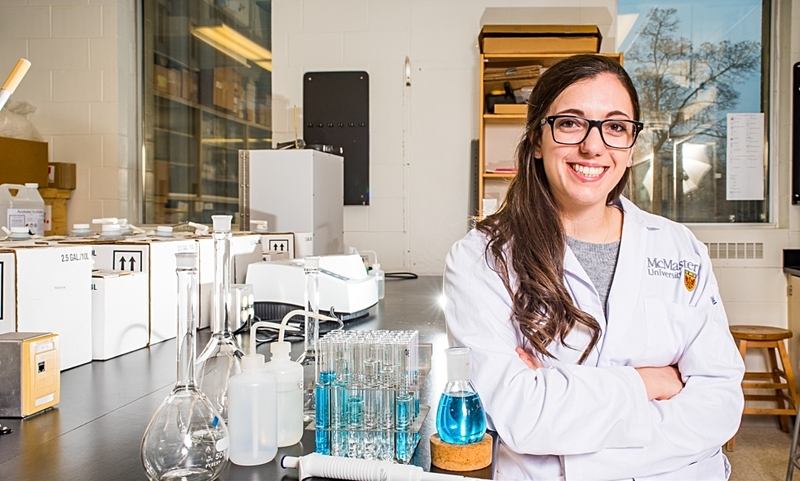 She says although much of her research, including her thesis, has been related to cancer treatment, she’s considering focusing her graduate work on antibiotic resistance. She says she may even look into joining a field hockey team.